Benefiting from the company’s enviable motorsport achievements, PS91 is aimed squarely at supercars and such mouth-wateringly quick passenger saloons as BMW M cars, Mercedes-Benz AMG models and Audi RS ones. The entire range is Y or (Y) rated and offered in sizes from 18 to 20 inches in diameter. The focus is on maximum grip and braking performance in the dry, combined with outstanding feel in all conditions. Tyre review data from 18 tyre reviews averaging 82% over 131,300 miles driven. Sorry, we don't currently have any questions and answers for the Kumho Ecsta PS91. Why not submit a question to our tyre experts using the form below! 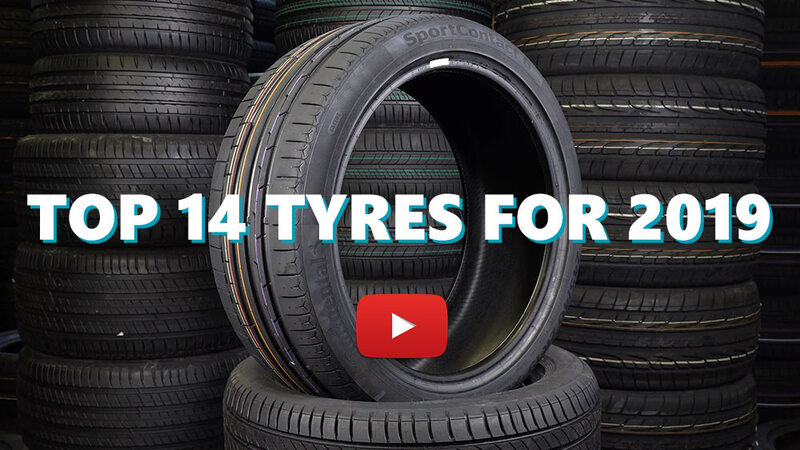 Available in 45 tyre sizes - View all. Replaced Pirelli P Zero k1 tyrew with the Kumhos. I am realy happy that i made the change. The tyre is better on dry and wet in lower temperatures that the p zero. The p zero is slightly better in wet on warm days, but the kumho has a little bigger level of grip at dry, and does not need that high temperatures. Allso the tyre is realy good when puahed hard, doesent lose the grip level by heating up, the level ia going higher and higher. Perfect for everyday and fast road curve driving. Not tested on the race track, but it should perform ok for a street tyre. The stif sidewall is allso a good thing, much stiffer than p zero. I can highly recommend that tyre, they car has more overall grip than with p zero. Wear looks also ok for now. Have you driven on the Kumho Ecsta PS91 tyre? Please help millions of other drivers make an informed tyre choice and pick the correct tyres for their car by submitting your review of the Ecsta PS91. Both dry and wet grip is very good! Recommended. I will buy again. If your car has factory-fitted runflat tyres and you are thinking about changing to conventional tyres, then I highly recommend Kumho PS91. Because of its stiff sidewalls, Kumho PS91's steering character is close to factory-fitted runflats. Never change your factory-fitted runflat tyres with convensional tyres with soft sidewalls. Otherwise your BMW/Mini will loose its steering and handling character. I have these on the rear of my 320bhp 530d with over 600lbs of torque, in the dry the grip is very good and can usually floor it off the line and it will sink in and grip without too much fuss, but in the wet once the wear is below 3.5mm its hard to put much power down off the line or floor it below 40mph. i do around 40k miles per year mostly motorway but i do like to put my right foot down, on corners the rear is stable and not too twitchy which is good for a big barge and the wear is really good in my opinion if you dont floor it all the time causing the tyres to self destruct. The rears on my last set lasted 22k miles, this time around im at 25k miles with about 3mm left. at around £140 per wheel fitted its not bad and is worth the money. I fitted these to the front of my Fiat 500x in June and initially thought they were great, 6 months & 6000 miles later the tyres were useless, the tyres wander badly, were badly worn and much worse both inner walls were deformed to the point that my MOT tester advised me to get rid of them straight away. Both tyres had been maintained at the manufacturers recommended pressure. Very impressed at the overall performance of the tyre and consider it very good value for money. Confidence inspiring and good feedback. Only issue would be the wear & tear, which I feel could be better. Definitely recommended and would buy again.